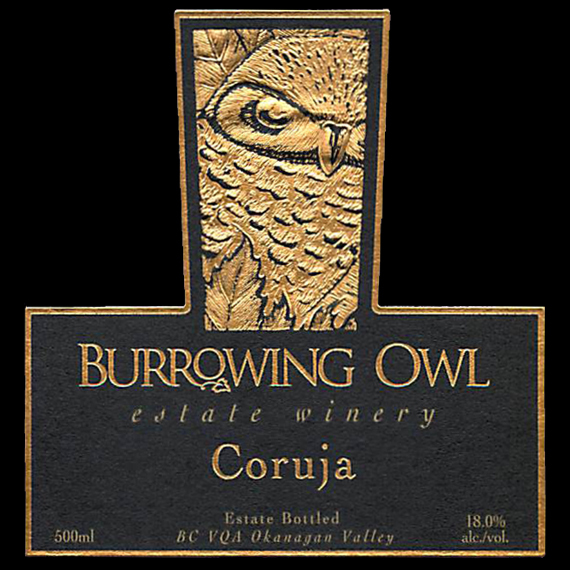 Coruja (kor-OO-jia) – Burrowing Owl Estate Winery is proud to offer a fortified port-style wine. 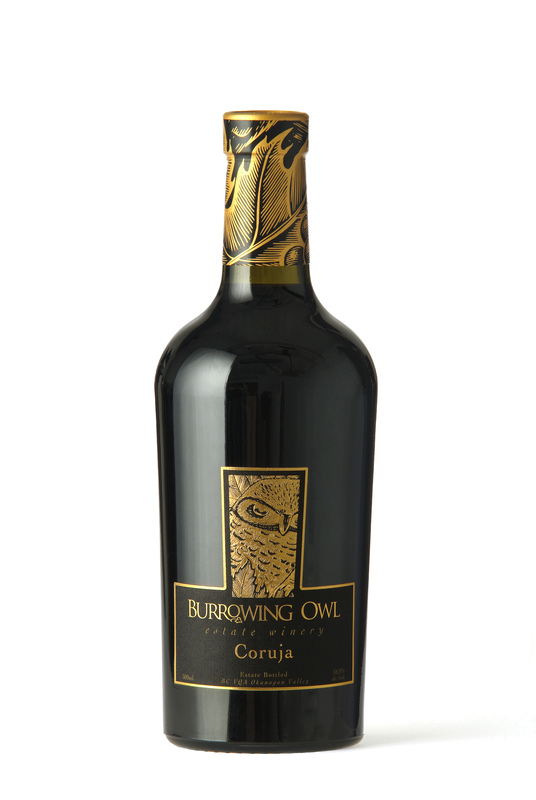 The name, Portuguese for “owl,” pays homage to the winery’s namesake and to the country of origin for this style of wine. A soul warming aroma of dried plums, blackberry, blueberry and pastry crust all wrapped around complex pepper, clove, vanilla, marzipan, chocolate and oak notes. The palate is rich and silky with intense flavours of blackberry jam, mixed brambly berry pie, stewed damson plums, violets, black pepper, clove and just a touch of leather. 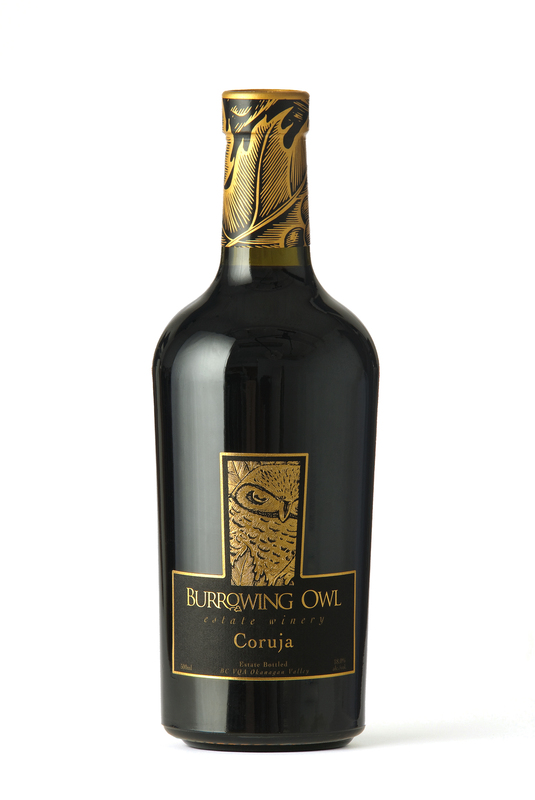 The sweetness is balanced nicely by the full bodied viscous texture, balancing tannins and refreshing acidity that linger on a long finish. Try with chilli infused dark chocolate desserts or intensely flavoured hard cheeses. 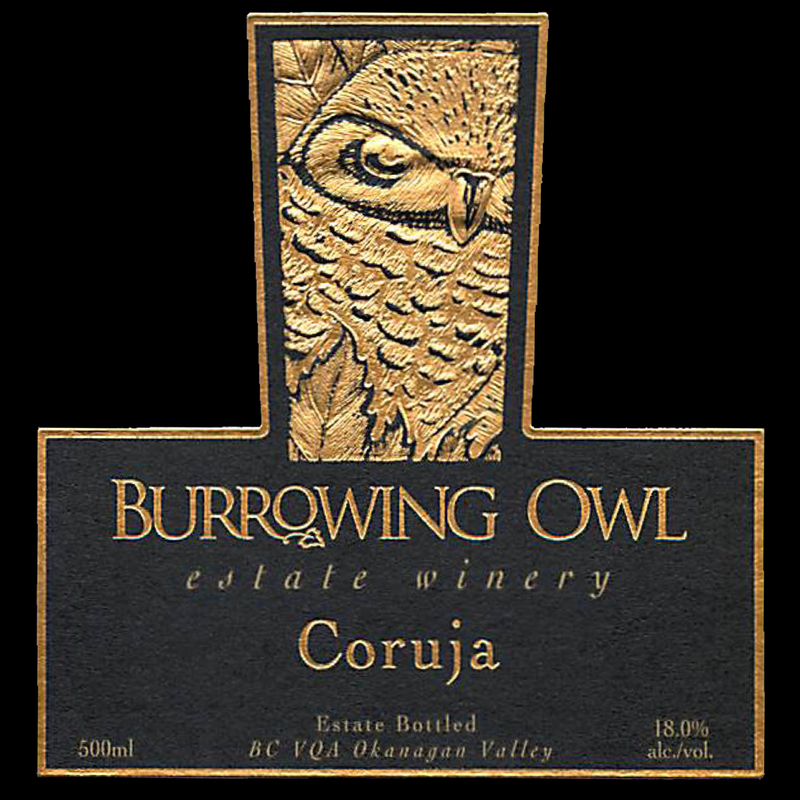 Coruja is Burrowing Owl’s non-vintage fortified wine made using the solera system. It is a technique that blends younger and older wines continually while they age resulting in a consistent style of mature wine. The Estate’s Syrah grapes were chosen and selected from the Black Sage vineyards at the very end of each season, to ensure maximum depth and colour concentration from late hanging fruit. 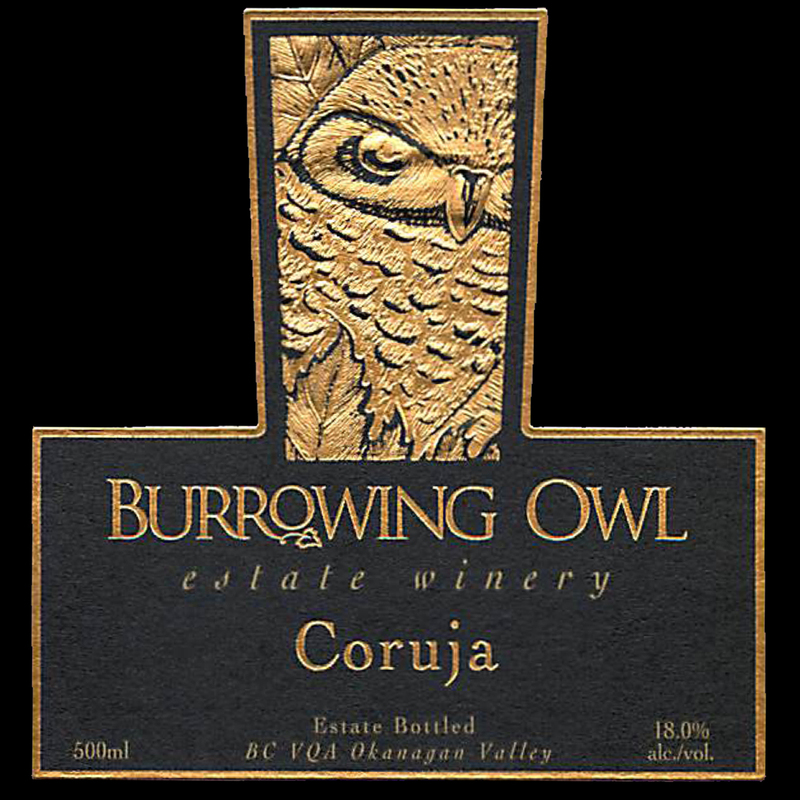 The wine is fermented to approximately 8% alcohol and then fortified with distilled alcohol gleaned from a selection of Burrowing Owl’s white wine. This results in a final alcohol level of 18.5% while maintaining a subtle sweetness in the wine. 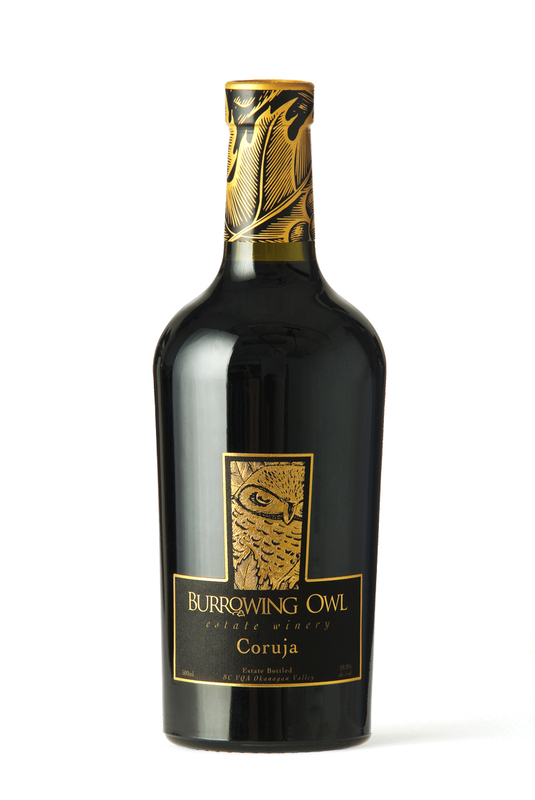 In this first blend of Coruja, the 2008 vintage was crushed the traditional way - by foot: winery staff stomped 3 times a day for a week! In year two (2009 vintage) a natural fermentation process was chosen ensuring optimum extraction from longer time on the skins. Year three (2010) employed a cultured yeast program with extended punch downs to encourage good extraction. The result was three different styles of fortified wine that - when blended and aged together - has produced a very complex array of flavours.